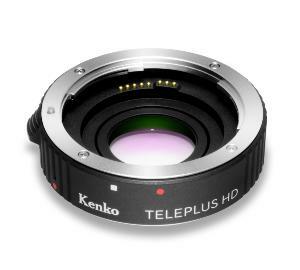 Get more reach for your EF and EF-S lenses with these compatible and affordable extenders from Kenko. Ever wanted that little bit extra reach with your current lens when out and about? Having a little more focal length can be handy in many situations, especially when your subject is a little timid, but a new lens can be even further out of your grasp, depending on your budget (or Santa's generosity). One ideal solution are these new HD teleconverters from Kenko. Teleconverters themselves are nothing new, as they have been around for a very long time. Teleconverters are optical accessories which, when placed between a lens and a camera body, increase the effective focal length of the lens by a designated amount. The numbers indicate the strength of the increase to the focal length of the attached lens. So a 200mm lens and a 1.4x converter provide a focal length of 280mm. With a 2x converter, the same lens has an effective focal length of 400mm. Canon manufactures a couple of teleconverters, which it calls Extenders. The latest versions are the Extender EF 1.4x Mark III and the Extender EF 2x Mark III. However, Canon Extenders only fit a limited range of EF lenses, essentially L-series primes with a focal length of 135mm or more and L-series zooms with a minimum focal length of at least 70mm. They do not fit EF-S lenses. Third-party teleconverters are more tolerant of EF lenses than Extenders and can be used with most, though the best results come with extending the focal lengths of telephoto lenses. But again, EF-S lenses were excluded from the party, until now. That is why these new Kenko HD DGX teleconverters, available in 1.4x and 2.0x versions, are a welcome addition for EOS users, as they are compatible with both EF and EF-S lenses (for the most part – download a compatibility table or phone for more information). These are, as far as we know, the first teleconverters that will accept EF-S lenses. Made from quality materials, this converter has a metal mount and a genuine Gate Array IC (Integrated Circuitry). This means the converter's unique circuitry maintains signal integrity between the camera body and lens. The lens elements are made with high quality multi-coated optical glass supplied by Hoya. We've tested the Kenko teleconverters with a few EF-S lenses from our equipment cupboard and, at last, have a way to get a little bit more from them, without splashing out for a new telephoto lens. Plus they work perfectly with your EF lenses too, so they provide a great all-round solution to bring your subject that little bit closer. #SPECIFICATIONS# 1.4x teleconverter – 3 elements in 2 groups. Autofocus operation on lenses with a maximum aperture of f4 or wider. Length: 25mm; weight: 110g. 2.0x teleconverter – 5 elements in 3 groups. Autofocus operation on lenses with a maximum aperture of f2.8 or wider. Length: 36mm; weight: 157g. Not had chance to use due to terrible weather! It does everything it is supposed to do. Excellent product used with canon 80d 100-400 lenses had no problem with autofocus well pleased.